Trautwein GmbH | Fango-paraffin preparation equipment | Fango-paraffin preparation equipment. 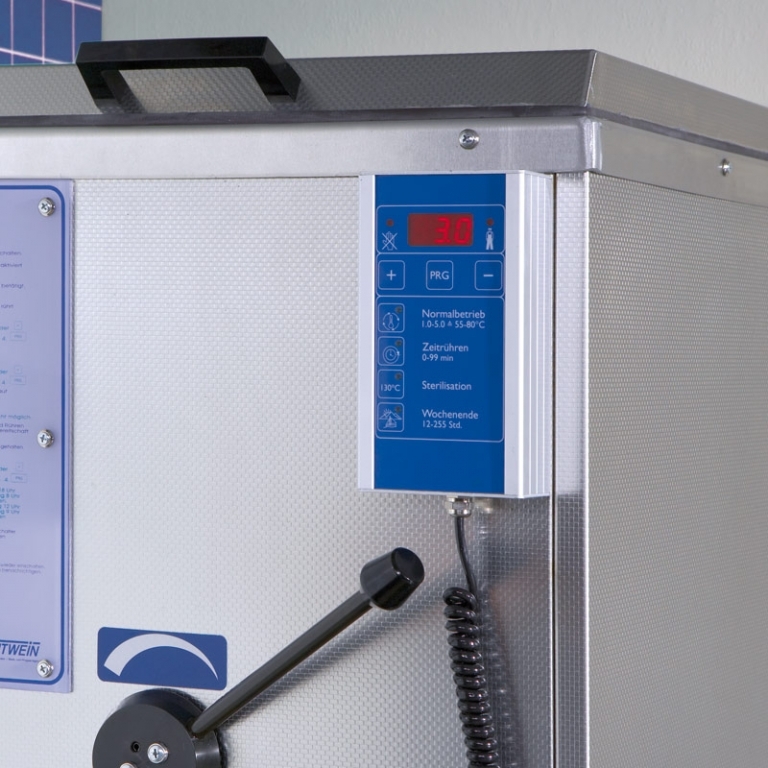 PHYSICAL THERAPY » Fango-paraffin preparation equipment » Fango-paraffin preparation equipment. 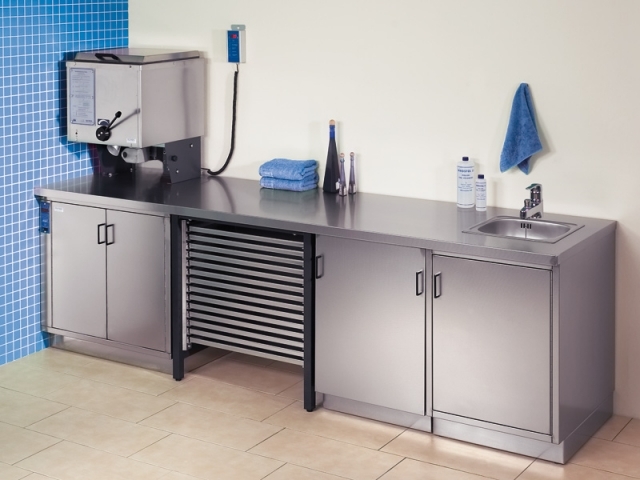 Various fango components can be combined as required: warming cabinets FW 4060 and FW 5070, fully electronically controlled stirrers AR and ER as well as work surfaces, sinks, fango disposal trolleys, shelves and base cabinets – from simple preparation devices to complete fango ‘kitchens’. Individually designed and quickly installed. 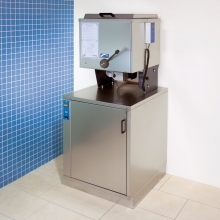 The stirrer blade can be easily removed from the vessel for cleaning. 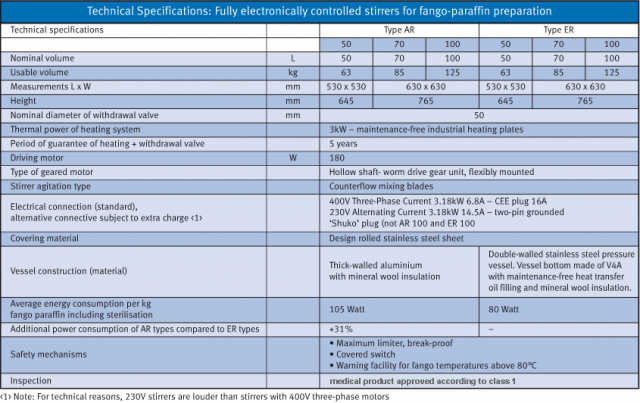 Intermittent stirrer heating avoids overheating of the fango material, making it usable for a longer period of time. Service-friendly technology: the complete control unit is easily detachable from the equipment. A defective control system can be exchanged by the operator avoiding additional service charge. 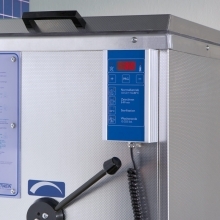 Operating temperature range of 55-80°C. Energy-saving weekend and holiday programme for up to 10 days max. 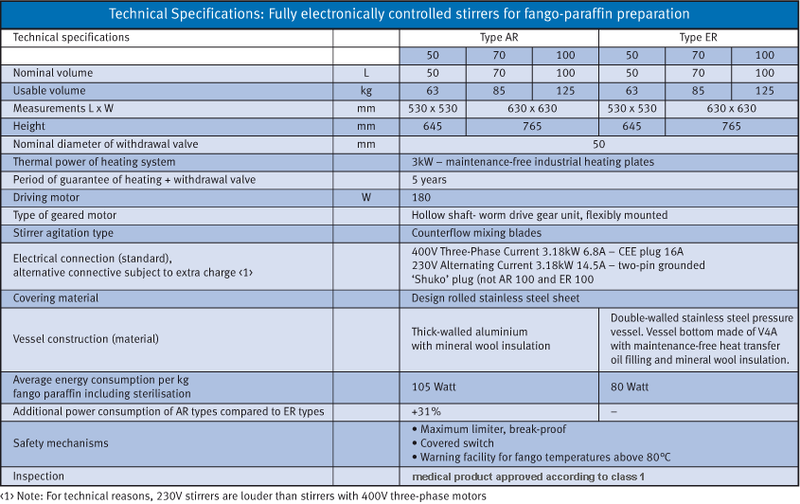 Preparation of fango material with appropriate care by means of intelligent technology. 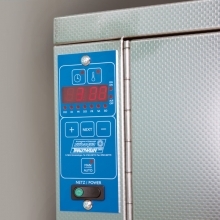 High precision due to digital temperature control. Automatic manual key for individual ON and OFF switching without programme change. Additional energy-saving option with integrated weekend time switch with individual setting. 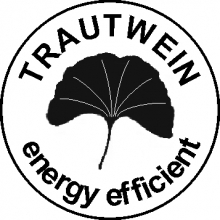 Energy saving of up to 4,000kWh in 10 years. Microprocessor control for fango stirring devices. 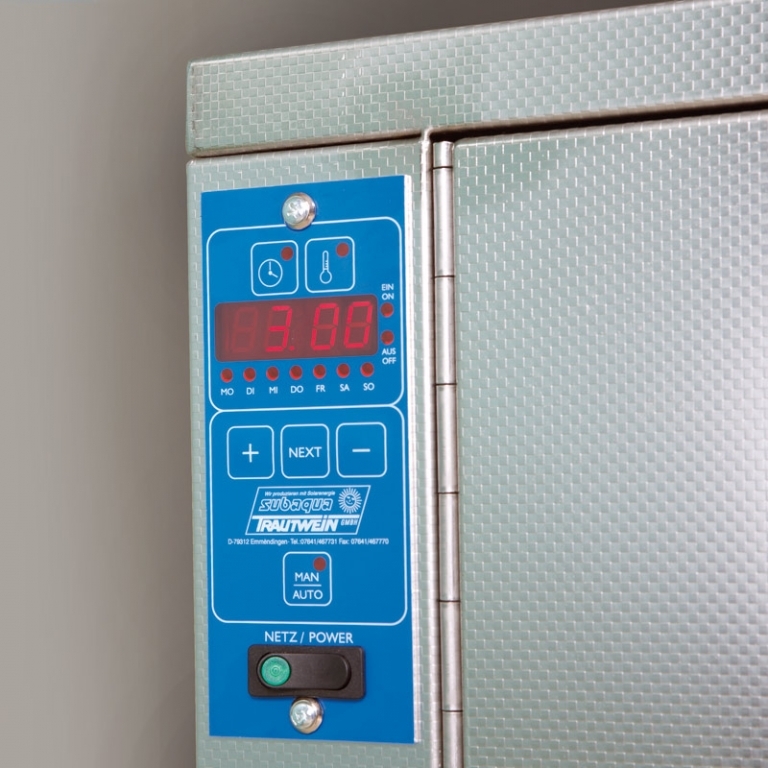 Microprocessor control for heating cabinets. ER stirring devices with double-walled chamber of stainless steel. 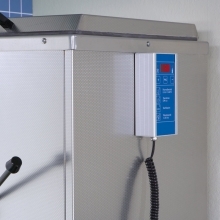 By means of the special heat transmission oil, the heat can be transferred from all sides regularly. This construction contributes to a significantly lower energy consumption. The additional saving of energy in comparison to stirring devices with aluminium chambers adds up to 30%! AR 50 stirrer with FW 4060 E base cabinet. Operating element mounted at the front. Sign showing energy efficient products.